Tablets are so convenient to be carried out that more and more people would like to get one and put into bag. 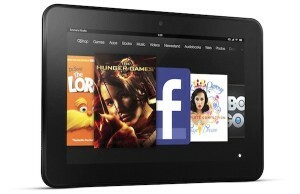 What are the most popular tablets of 2013? No doubt that it is iPad. Apple has released several generations of iPad since 2007. 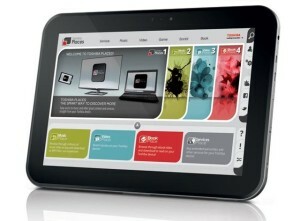 Other brands like Samsung, Asus, Lenovo, Google also released their own brand tablets afterwards. You may or you would plan to get a tablet for amusement or for business, let's read this article to know more about tablets and show you the best 10 tablets you should take into consideration. The best version of the iPad yet is also the best tablet on the market. If you're new to tablets, iPad with Retina Display should be your first choice. iPad mini is a 7.9-inch tablet, like a small version of iPad 2. It is very light and thin so as very convenient to put into your coat's pocket. 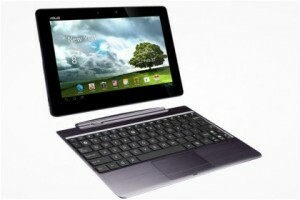 The 1.6GHz Tegra 3 and DDR3 RAM make this the fastest Android tablet available in tablet market. Drop in an incredible camera, beautiful high-res screen, and the flexibility of a full Android environmen. All features make TF700 a complete and versatile tablet. Still the best small tablet, the Nexus 7's smooth interface, fast performance, and low $199 price makes it the best in its class. 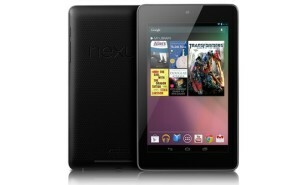 Compare with iPad mini and Kindle Fire HD 7, Nexus 7 wins for its much lower price and resolution. 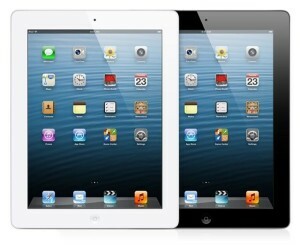 Howerver, iOS fans may think different and always support iPad mini is the best 7-inch tablet in the market. Amazon doesn't sleep on content. And here it provides it. Um, all of it. That's great in itself, but its the elegant and friendly way the Kindle Fire HD 8.9 delivers said content that really brings it all home. 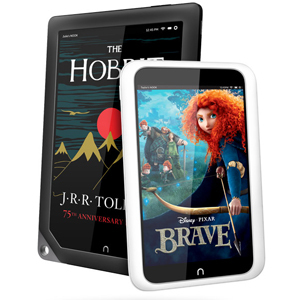 Thanks to its well-implemented profiles feature and a price lower than any other full-sized tablet, the Nook HD+ is a great choice for families on a budget. The Barnes & Noble Nook HD+ starts at only $269, has a sharp screen, good performance, and a microSD slot. 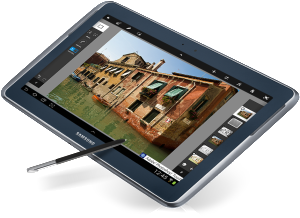 It's also lightweight, comfortable, and implements magazines and catalogs better than any other tablet. Features tangible UI improvements that implement the S Pen in useful, logical, and cool ways. Its storage capacity can be expanded via microSD, and the IR blaster remains a thoughtful addition. The Samsung Galaxy Note 10.1 has been regarded by many as one of the best tablets in 2013 due to its highly innovative S-Pen that helps to boost productivity and efficiency. The S-Pen has a wide range of unique features that a normal stylus could only dream of offering. The price (600 USD) is far too high for only 16GB of native storage, and the build quality feels weaker and inelegant compared to even lower-priced tablets. AT300 probably the least exciting tablet in this top/best 10 tablets of 2013 list, however with recent price crashes on the Toshiba AT300 – known as the Excite 10 in the US – it means you can pick up a high quality tablet for a really affordable price. Not much needs to be said on the device. It’s quad-core, a little bit weighty, and can run Android Jelly Bean. 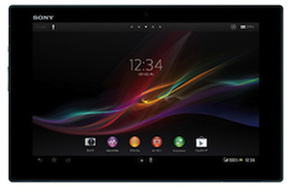 The Xperia is a 10.1-inch tablet and features a quad-core Qualcomm processor. This is Sony's third large-form Android tablet in two years. While the previous entry had some technical issues, the Xperia Tablet Z has the potential to be the company's best tablet yet This tablet is added into the top/best 10 tablets of 2013 list for its integrated features and reasonable price. 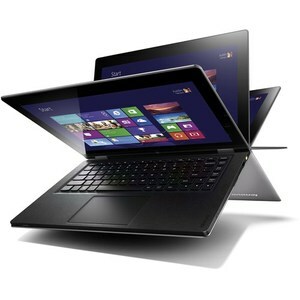 The Lenovo IdeaPad Yoga 11 works as a laptop alternative, thanks to its always-attached keyboard and myriad useful ports, and its physical flexibility provides useful ergonomic options. 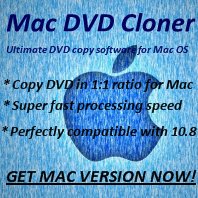 Its battery charges quickly and depletes slowly. Brightness shortcuts on the keyboard unearth a normally buried option in Windows RT. As a tablet, Yoga 11 is too heavy or bulky. Website performace is quite slow. All specs will be improved if upgrade with 50 USD. The original Microsoft Surface (Surface with Windows RT) was given massive amounts of press coverage and positive feedback regarding its innovative hardware. 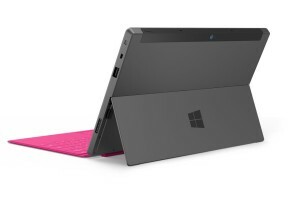 The Surface Pro takes this unique physical design and combines it with something the tablet was really missing; decent software. Windows RT had many flaws, and Windows 8 Pro on the new Surface model irons out the majority of these problems. As well as the tablet’s design, there is also the extremely unique keyboard cover which both protects the device and allows you to type more comfortably. The Surface Pro also has a much improved screen from the original model which was a required spec bump to make this newer model successful.